pH is one of the most important chemical properties measured in both science and industry, playing a vital role in health, environmental studies, and material reprocessing. With potential to impact an extensive range of sectors, accurate analysis and monitoring of pH is essential. Due to theoretical and practical constraints, the comparison of pH between different media hasn’t been possible and over the last century this has led to the formation of several incompatible pH scales. In 2010 the concept of a unified acidity scale, pHabs, was devised to overcome this issue, but it has proved challenging to implement. 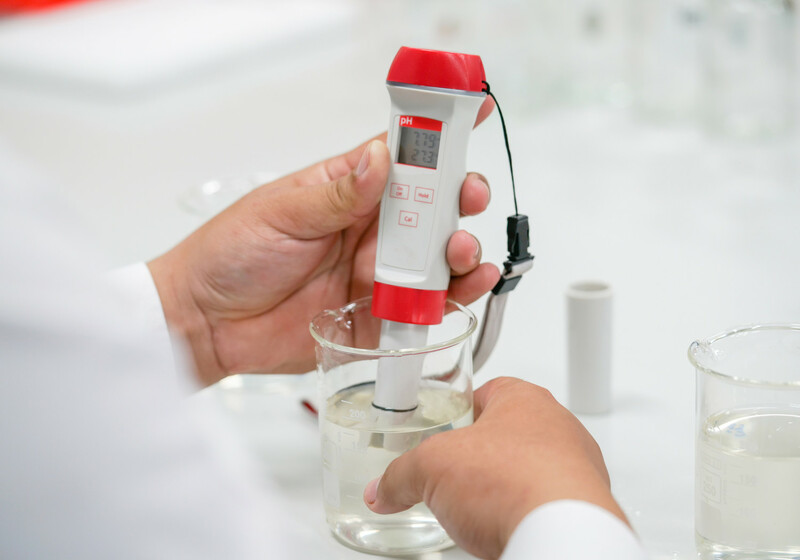 This project will put pHabs into practice by establishing a reliable and universally applicable procedure for measuring the acidity of any substance. It will also develop a validated set of calibration standards for a wide variety of media. In striving towards a practical and accurate unified pH scale, this project will support and strengthen EU manufacturing and innovation in industries from pharmaceuticals to petrochemicals and semiconductors.